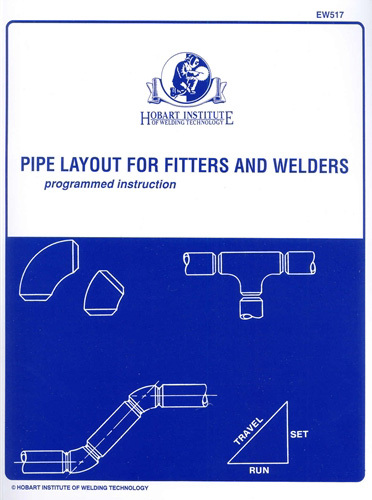 Pipe Layout for Fitters and Welders — This 10 section, self-study, programmed learning course from the Hobart Institute of Welding Technology includes pipefi tting terminology, mathematics & plane figures, angles and angular layout, calculated welded offsets, tees, laterals & circumferential sleeves, pipe blanking, elliptical holes, brackets and pipe flanges. 10 tests are included with each copy. 249 pages.